DENVER (AP) — The Denver Nuggets halted a three-game skid by turning up their defense and turning things over to their deep guard rotation which will only get deeper when Gary Harris and Isaiah Thomas return to action after the All-Star break. 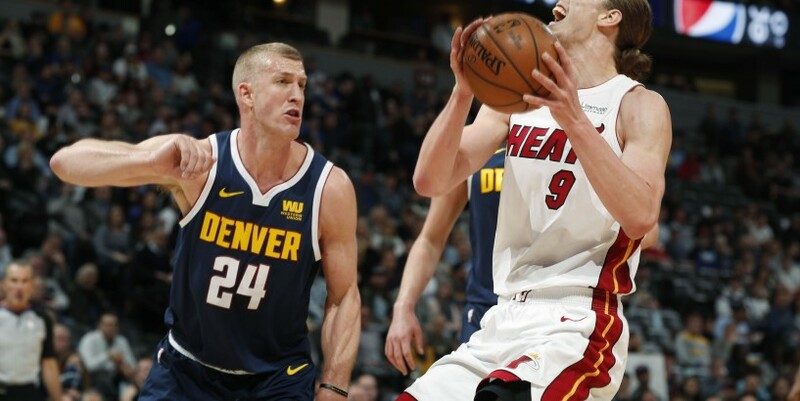 "We were tired of losing, three in a row, and coach wasn't too happy about it," said Monte Morris, who scored 17 points in Denver's 103-87 win over the Miami Heat on Monday night. "We just needed to get back to our old style, our old Nuggets basketball, flying around and covering for mistakes."